Martini's are really hot items again. 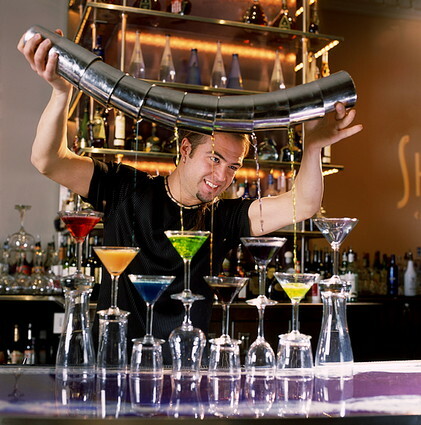 There are Martini bars being set up all over the country. 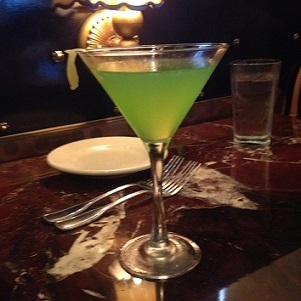 The Martini "culture" is flourishing and this particular martini is a very popular restaurant drink recipe. There are two recipes for this drink on this page because I serve both of them depending on the customer. Some of my regular restaurant guests like the first restaurant recipe; others request the second. 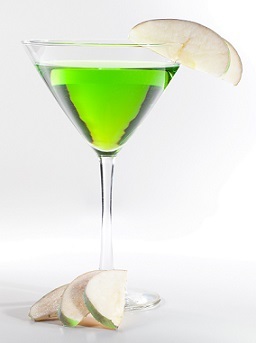 You can have some fun experimenting and deciding for yourself which apple martini restaurant drink recipe you prefer. Stir and then strain into a Martini glass, garnish and enjoy! Enjoy your apple-a-day martini recipe and the company of those you share it with!